I started digging in the dirt while still in diapers. I can't remember a time when I wasn't gardening or wishing I was gardening. Our family moved around Southern California and then my husband's career left us "subject to transfer"; the nomadic life is hard on a gardener, all they long to do is put down roots, literally. However I have been fortunate to garden in many places and see beautiful gardens around the world. Please tell us a little about your gardening related business. My two passions were always gardening and writing, yet I only thought to combine them around ten years ago. Then it was like The Reese's Cups; the peanut butter bumped into the chocolate...and wham! I became a garden writer. 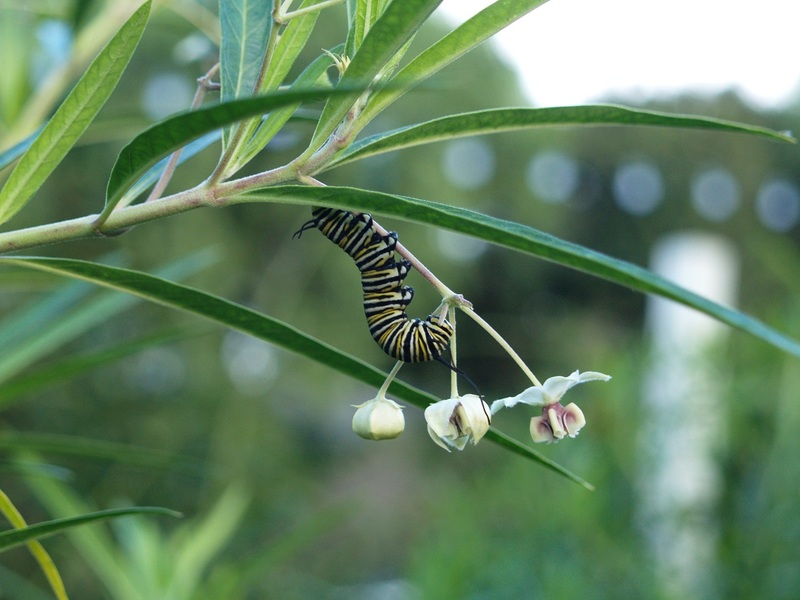 Now my pet project is my new garden blog, The Garden Buzz. Who knew a blog would be so much fun. Tell us briefly about your favorite cause/business/product in which you are involved that you would like to share with the general public and why. I owe a lot of my gardening success and satisfaction to being an Extension Master Gardener. Certified Extension Master Gardeners are generous, hard-working and knowledgeable people who have done so much to further the cause of good gardening. I also support organizations like National Wildlife Federation and Monarch Watch for encouraging gardeners to plant for wildlife. Where can members get more of your advice? Visit the blog where you'll find my email address. I'd love to hear from you. Describe the climate where you garden now (climate zone, state, area)and any other areas where you have gardened in the past. Brrr….I now live in Minnesota. I live in the wild and watery western suburbs of the Twin Cities, which is officially Zone 4, but occasionally someone says it is becoming Zone 5. Yeah, if you really work the micro-climates, she says peering from her parka. Since leaving my native California, I have gardened in Tennessee, Kansas (twice), Illinois (twice), Iowa and England. How long have you been gardening? How long have I been breathing? I come from a family of gardeners and nature-lovers; it's just what you do. What is your specialty, expertise or claim to fame? Back in Kansas I was considered something of an herb expert; planning festivals, writing and speaking about them. My gardening has evolved from kitchen gardening to more planting for wildlife since then. I hope that I am known as a fun and effective communicator on all things garden-y. This book and the New Kitchen Garden (below) were my go-to books in my intense food growing phase. One of my go-to books. I followed it like a bible for a long time, it is truly the way to be successful more of the time starting seeds. 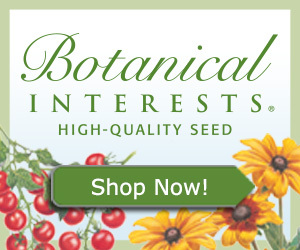 Has great plant search catalog for native and midwestern plants. Very informative with great photos. What formal horticultural training do you have? Ten years of advanced training classes in horticulture from Kansas State University and University of Minnesota, through the Master Gardener program. And we mustn't forget Horticulture 101 from CSUF, when I grew a veggie garden for extra credit in the backyard of a college rental. What is your favorite garden or plant-related topic? Tell us a little about them. Growing and cooking from the garden has always been a passion. Now I am planting for pollinators, the more birds, bees and butterflies, the better. What is your biggest gardening pet peeve? Tell us about it. Boring front yard landscapes brought forth by people who think there are rules somewhere, that state only three foundations shrubs, one tree and some sad petunias are proper and permissible. My most enjoyable gardening experience of late was the water garden/koi pond....at my front door in my front yard. How much time per week do you spend gardening? Not as much as I used to with all this pesky snow here in Minnesota. It varies with the season from an hour to all day every day. How much time per week do you spend working at the business of gardening,such as consulting, reading, writing or talking about your gardening subject? What gardening or horticultural clubs, societies, or organizations (or any other interest) do you belong to? What do you like most about gardening? Fresh air, soft dirt, birdsong, and oh yeah, the plants, the plants! What do you dislike most about gardening? The increasing aches and pains as I get older. What individual has influenced your gardening interest the most? How? My grandmother was a talented and intuitive gardener who created a paradise where I played as a young child. Following her death I found inspiration in my mother's landscape projects while I was a teenager. Since then I am spurred on by all my gardening friends wherever I happen to live. What is your favorite place or activity in the garden? Remembering to sit down and just admire it. What is your favorite time in the garden? Late afternoons in summer when the air is warm and still. What is your favorite public or private garden in the world? Why? Public:The Keukenhof Gardens in the Netherlands for the biggest bulb display in the world and the Huntington Gardens in California for plant diversity. Public: All the tiny lovingly-tended gardens in the chocolate-box villages of Herefordshire England where I was lucky enough to live for two years. What is your favorite color in the garden? Right now I am into all shades of orange. If you could grow only one plant, what would it be? That hurts my brain even to think about it. What plant have you tried to grow that has given you the most trouble? Or, what plant would you like to grow and can't, and why? It has changed with my many locations, in Kansas it was difficult to grow sweet peas due to the short spring and sweltering heat. Now I wish I could grow all the lavender varieties, but alas it is too cold for most. I miss growing my Meyer lemon tree, without my greenhouse for overwintering, it is a challenge. What is your favorite gardening outfit or costume? It varies, but since almost pruning off a finger, I require myself to wear gloves at all times. Do you have a gardening philosophy you would like to share with other gardeners? What is it? If everyone was busy tending a garden, there would be no time or place for war and violence. Who is your own favorite gardening personality on TV, radio or in print? Why? Martha Stewart reminded us that gardening was not a chore, but a noble domestic art to be cultivated. I admire her intense intellectual curiosity. I love P. Allen Smith for his sweet, southern charm paired with practical inspiration. What is the one question about gardening you would really like people to ask you? The Question: How do I start? What is a garden myth you hear frequently which you know is untrue? "I can't grow anything, I have a brown thumb"
And, what is the reality? The Reality: The right plant for the right place will grow every time. But you have to be willing to learn. What group or kind of person do you think would benefit most from the advice you can give on gardening? While it's fun to communicate and commiserate with seasoned gardeners, I hope to inspire beginners to see the beauty, the wonder and the humor found in a 'gardening life'. Would you like to participate, or can you recommend someone who you think should? We're always looking for more expert gardeners to tell about their philosophies and give their plant recommendations contact us and we'll get started (it's easy and a great way to promote yourself).